Does Welsh really have too few vowels? Click here to access this post as an audio file. I woke up today with the suspicious feeling that it’s time for somebody on Twitter to have a pop at the Welsh language again. 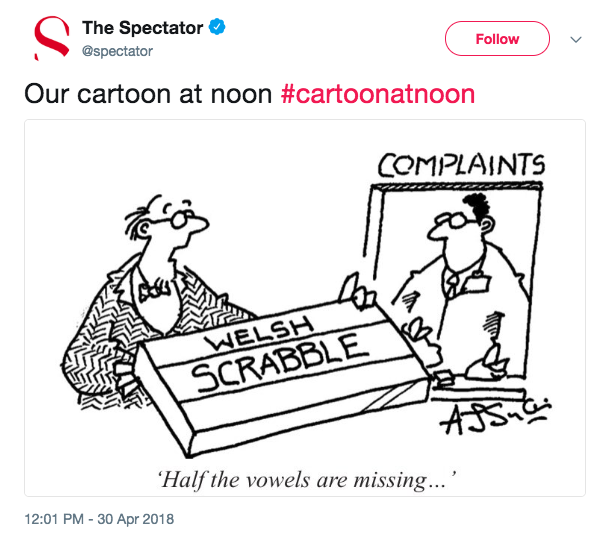 This is probably because it’s always time for somebody on Twitter to have a pop at the Welsh language. If you want to know why I think that matters, and why it annoys me, you’ll need to hang around for some later posts because this one isn’t really about that. It’s about a particular kind of boring anti-Welsh-language insult that turns up with hideous regularity. I call it “The Vowelless Slander”, in hopes that J. K. Rowling will want the rights to use it as the name of a Harry Potter sequel, making me very rich. Nothing says “I’m anti-racist” like belittling Islamophobia and mocking a minority language in the same tweet, does it? 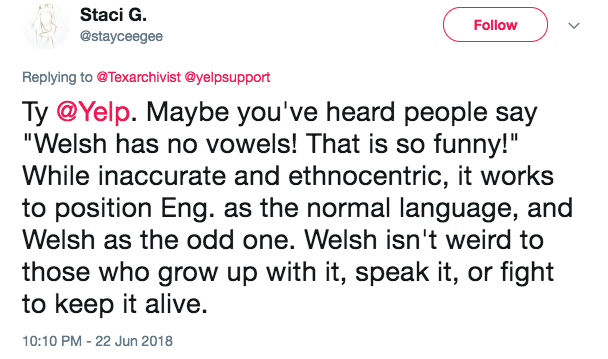 I don't know who @stayceegee is, but she's absolutely on point here: Welsh spelling is only “weird” and “lacking in vowels” if you think that the English alphabet is the standard by which all other spelling systems should be judged. 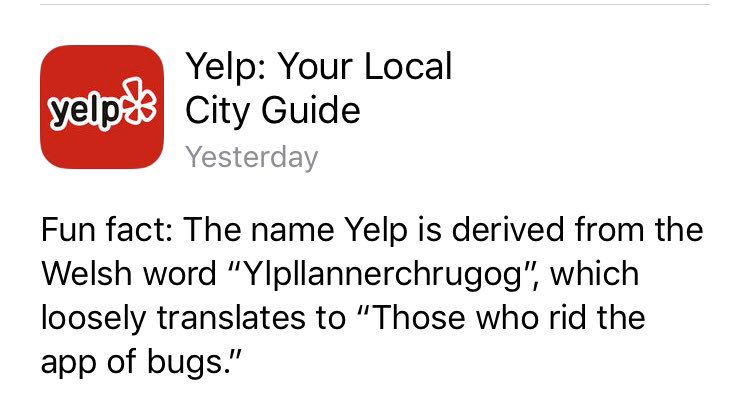 That might just be a valid opinion if the alphabet had originated with English and been borrowed by other languages. But it wasn’t. The alphabet used, in variants, by over a hundred languages worldwide (including most European languages) is that of the ancient Romans, the Latin alphabet. In all likelihood, Welsh was being written in this alphabet before English had even developed as a distinct language. The Vowelless Slander irritated one of my compatriots so much that he created the Welsh Language Vowel Locator to help out those poor souls who think that words like "rhyd" and "cwrw" contain no vowels. The Locator highlights the fact that, in Welsh, "w" and "y" are used to represent vowel sounds; Welsh therefore has two more letters representing vowels than English has. Although we use these words colloquially to refer to certain letters of the alphabet, their main meanings are related to how we use our speech organs to make sounds. This is linguistics, so there are no absolutes; but on the whole, it’s unusual to have syllables without vowel sounds, because it’s very hard to pronounce extended stretches of consonants without some kind of break. Why is that? Look back at the definitions: consonants are produced by obstructing the airflow. A series of obstructions without any open (vowel) sounds in between becomes slowly more and more difficult to produce, especially if the obstructions are happening in very different parts of the mouth. So the combination “str” isn't too hard to manage, because all three sounds obstruct the airflow using approximately the same parts of the vocal tract: the tip of the tongue and the back of the teeth. A combination like “pgn”, on the other hand, is almost impossible to pronounce without intervening unobstructed sounds, because entirely different bits of the mouth, throat, and nose are involved in each sound. Those intervening unobstructed sounds are vowels, and they're bound to appear pretty quickly in any string of speech sounds. 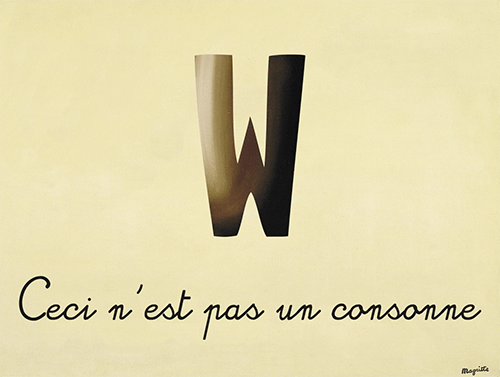 Just like Magritte’s drawing of a pipe, which can’t be stuffed with tobacco and lit for a suffocating old-man-in-a-cardigan vibe, the written form “w” can’t really be “a consonant” or “a vowel” until we’re actually speaking it. Only when our vocal tract produces an obstructed or unobstructed sound in response to seeing the written “w” can we say that it’s a consonant or a vowel. In English, “w” usually works as a consonant: it’s an almost-entirely obstructed sound made by pursing the lips as the air flows through them and then releasing the airflow into a following vowel. In Welsh, “w” works as a vowel: the long form of the sound is produced with almost the same lip shape as the English “w”, except that the airflow is allowed to pass through unobstructed. In English, the sound of Welsh “w” is often written as “oo”. The English word “cool” is “cŵl” in Welsh (the accent shows that it’s a long vowel - without the accent, the word would rhyme with English “full”). What I’m saying about the relationship between written symbols and concepts like “vowel” and “consonant” might be a litle clearer if we look at some examples from languages with different (but related) alphabets. Look at this letterform: “H”. Vowel or consonant? If you’re an English/Welsh/German speaker, you’ll likely think of it as a consonant (although it lacks some of the features common to most consonants, it shares the same pattern of distribution as consonants in most languages that use the Latin script). If you speak Russian, or another language using the Cyrillic alphabet, you’ll still think of it as a consonant, albeit a completely different one that corresponds to English “N”. But what if you speak Greek? In the Greek alphabet, “H” is pronounced as a vowel, rather like the central sound in “feet”. So is “H” a vowel or a consonant? It’s both, or rather it’s neither. It’s a written form that represents either a vowel or a consonant depending on your frame of reference. When people say that English and Welsh “have the same alphabet”, what they mean is that Welsh doesn’t use any single letter shapes that English doesn’t also use. The same isn’t true in reverse, though. If it weren’t for the colonisation of Wales by England in the early middle ages, and the subsequent hegemony of the English language over much of the globe, Welsh people might find “Z”, “X”, and “Q” just as mystifying as English speakers find “Ξ”, “Ю”, and “מ”. And when even the letters that the two alphabets do share can represent very different sounds, I think it’s fair to say that Welsh and English don’t have “the same alphabet”; it’s just that both languages happen to have derived their alphabets from the Latin one. The next time someone trots out the Vowelless Slander in your vicinity, which will probably be sometime in the next three seconds if you use Twitter, please tell them that besides being Anglocentric and deeply boring, they’re also quite wrong. And then link them to this post, because I do so love a good argument with a bigot!